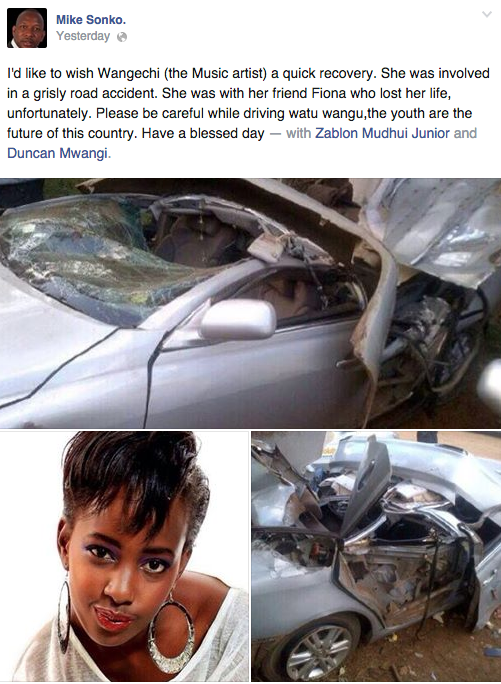 Yesterday, Nairobi Senator Mike Sonko took to his Facebook page to wish rapper Wangechi a quick recovery. 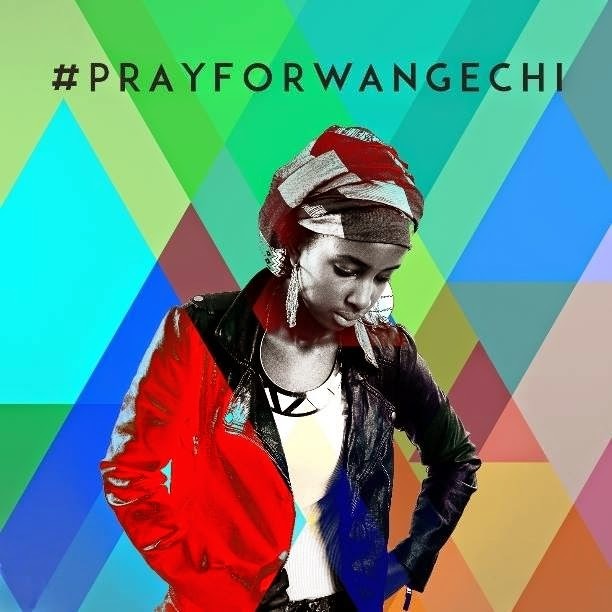 Wangechi is still admitted at Nairobi Hospital following a grisly road accident this past weekend, which took the life of her friend Tionna Wangeci. Here is the message he posted.